5 Control Wiring Harness, Left Handed. 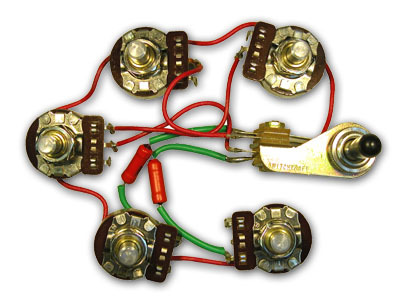 2-Volume, 2-Tone, 1-Mixer and 1-3-Way Selector Switch. Used on most guitar models.